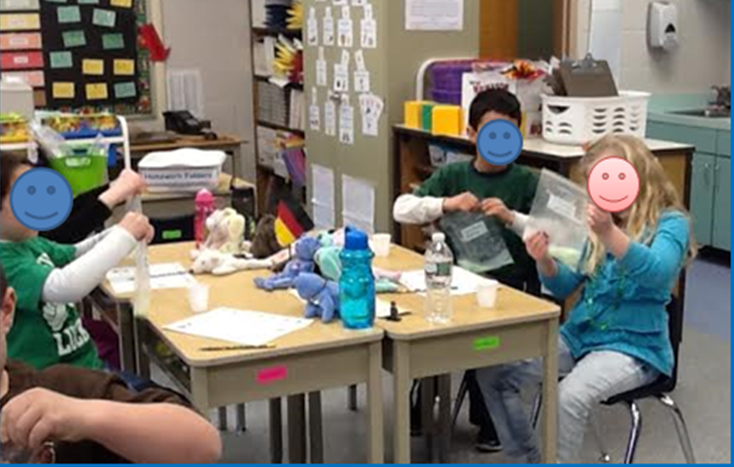 Elementary Matters: Report Cards, Workshops, and Spring, Oh My! 1. We made Leprechaun Pudding on St. Patrick's Day! 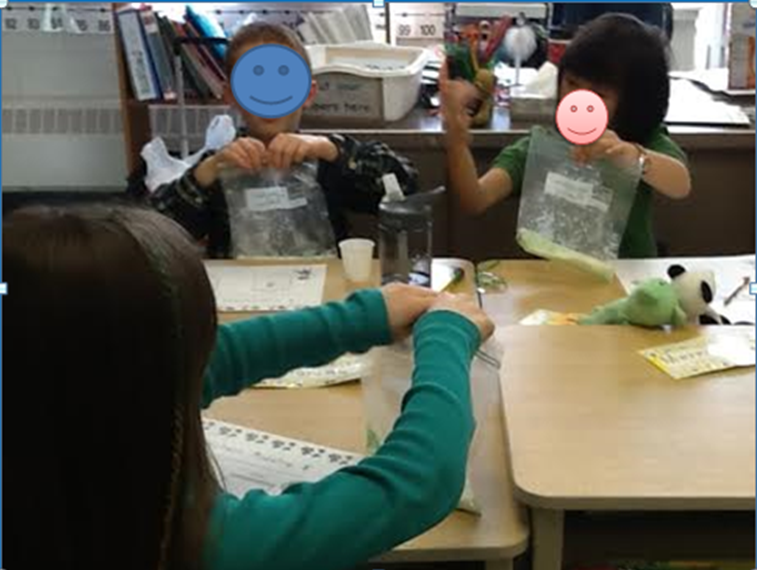 Thanks to THIS FREEBIE from Fern Smith's Classroom Ideas, we had a fabulous time with this little science experiment! 3. The class tree! We hadn't sketched our class tree in ages! We sketched it today, but we're hoping some changes will happen real soon... like buds... and no snow! 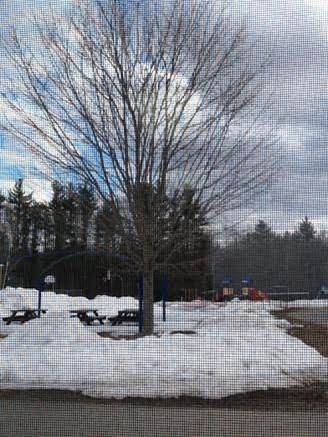 If it weren't so cold, I'd have gone outside to take the picture, rather than taking it through the classroom window, where the camera tends to focus on the screen! 4. Report Cards. They're DONE, sent, and most of them have come back! 5. Workshops! I had to take Thursday off for workshops sponsored by my district. All the second grade teachers in my district got together and had a morning about Group Interdependence and an afternoon of Understanding by Design. It's truly great stuff, but it was rather stressful between getting report cards out and sub plans done, plus we had SEVERAL assignments to prepare for the day: 4 chapters in a book, 2 videos, and another article. My mind was spinning so much getting ready that everytime I tried to do the reading, I would fall asleep and drool on my book. Not a pleasant sight, believe me! Why do you read teacher blogs? What do you look for on teacher blogs? Please answer in the comments below. I might just quote you in my upcoming workshop! 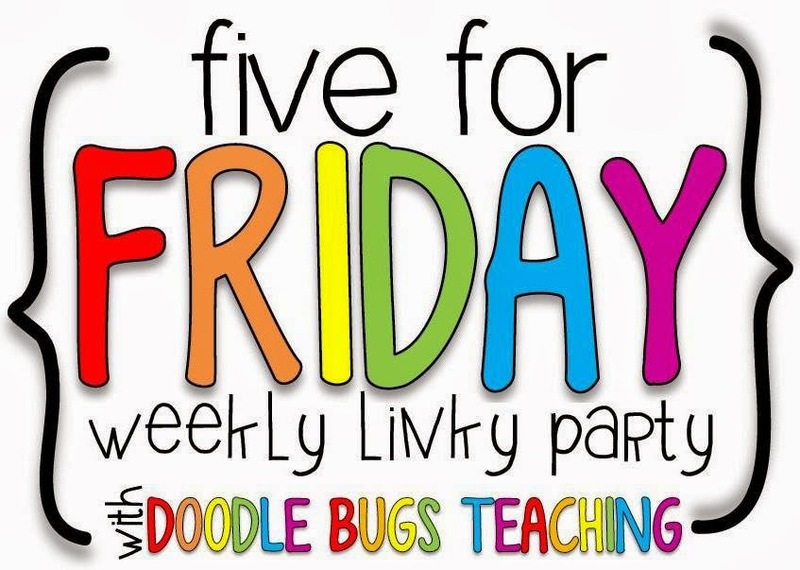 I'm linking up with Doodle Bugs Five for Friday linky... even though it's Saturday! 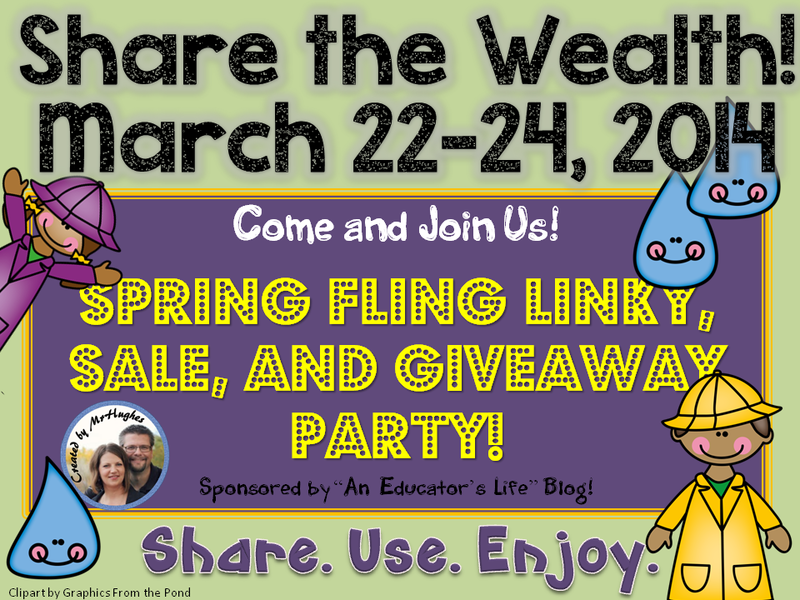 Speaking of Linky Parties, looking for some spring stuff? Check out An Educator's Life by Mr. Hughes! Your questions are great! Why do I read teacher blogs? One is for the ideas! 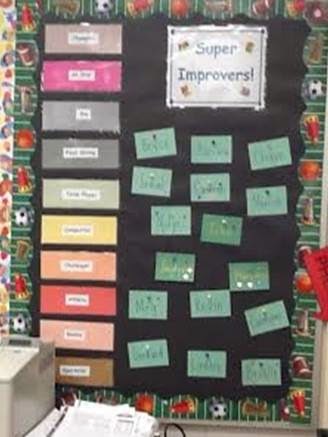 I find decor, classroom management, and teaching ideas through blogs. Blogs also led me to Teachers Pay Teachers, which is turning out to be quite exciting! What do I look for on Teachers Blogs? I can tell you what I do not look for easier--- things that are for sale on TpT. There are too many blogs devoted only to selling. Mind you, I do use my blog as a marketing tool, but I try to consistently post about real life, too! What are my favorite blogs? Doodle Bugs, Oh Boy Fourth Grade, Fourth Grade Frolics, A Teeny Tiny Teacher, and so many more. Including this one! I love your questions too...I read to learn. I am looking for new and different ideas such teaching strategies, technology, and book suggestions. I do not like marketing blogs at all, and in fact, if the focus is all about products that have been listed, I will not revisit. My favorite blogs...Curious Firsties, Conversations in Literacy, Read With Me ABC, Reading Toward the Stars, and Adventures in Literacy Land. (Reading girl...can you tell??) Great post! I love reading teacher blogs! They have changed the way I teach! I love that my kids can benefit from all the fun ideas from all over the country! Amazing! I'm terrible about getting linked up on Friday. My post just went up today too. Report cards are this week for me. Testing all week, get them ready to go over spring break, parent conferences when we come back. Why do I read teacher blogs? All the GREAT ideas!! We did that pudding too, it was part of what the leprechaun left us. I read about it on a blog. Teacher blogs have had a huge impact on how I teach, especially since I changed grades recently. I teach K, so I read Kindergarten Crayons, Mrs. Wills Kindergarten, Kindergarten Smorgasbord, Mrs. Jump's Class, Growing Kinders, and many others. The funniest blog I read is the Teeny Tiny Teacher. She always makes me laugh...and think. It is wonderful. I could go on and on.